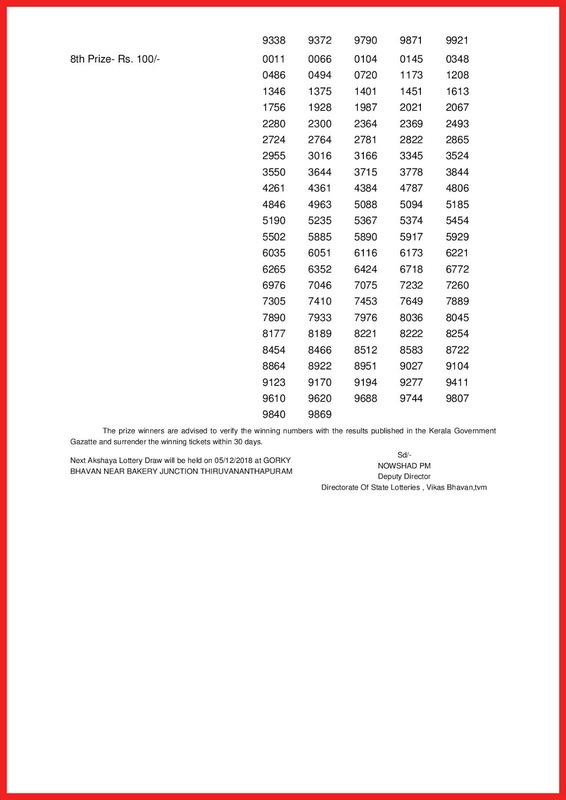 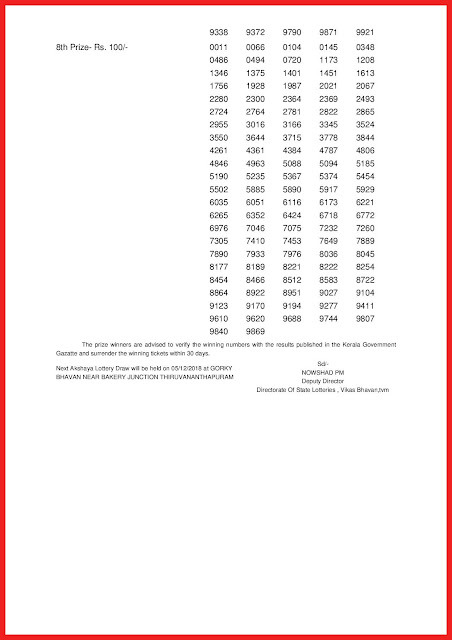 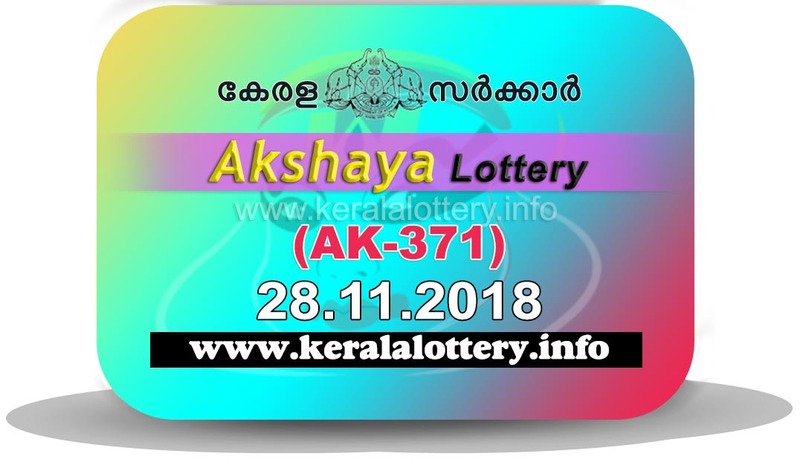 Kerala lottery result today is Akshaya lottery AK 371 result. 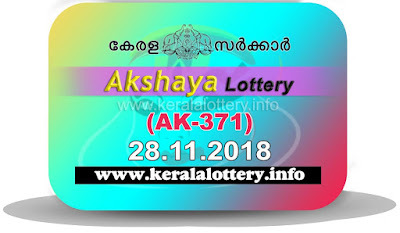 Kerala lottery Akshaya AK 371 draw will be conducted on 28.11.2018 Wednesday at Gorki Bhavan, Trivandrum at 3 pm. Akshaya lottery result draw is conducted on every Wednesdays by the Kerala lottery department. 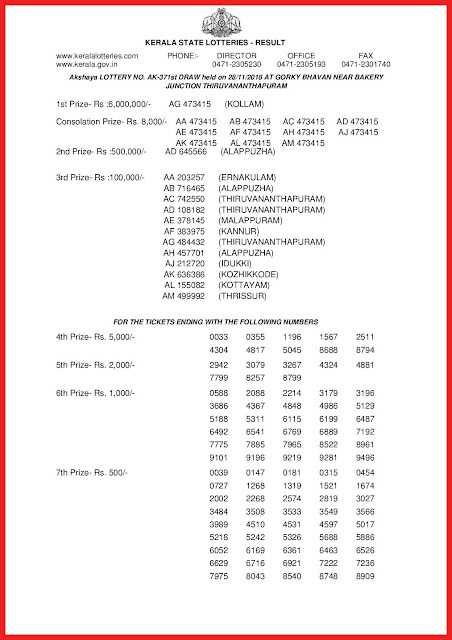 The result of Kerala lottery Akshaya AK 371 will be published here as soon as possible.